Lock in our lowest rates, get free Wi-Fi and earn Starpoints® on your next Resortstay at Le Méridien Koh Samui Resort & Spa and over 1,300 hotels and resorts worldwide. Must be a SPG Member to qualify. 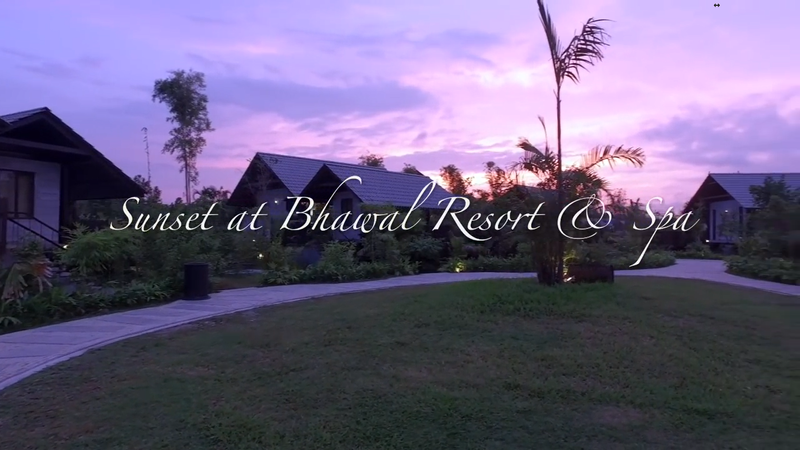 To make your tropical escape last even longer, let us offer you additional complimentary nights at Bhawal Resort & Spa. Book our Free Night offers and make your next escape even longer with great savings! Don’t miss this chance for a free night in Samui. Book now to enjoy your free nights selections. Go ahead, it’s getaway time! Valid for booking made and stay completed by 31 March 2017. Only 02 villas available at this special rate per day – so be quick! Available for booking from now until 31 October 2016. ★ Our Check-in Time is 02:00 PM. ★ Our Check-out Time is 12:00 PM. ★ Late Check-out is subject to availability of rooms. ★ Early Check-in is subject to availability of rooms. Resort only guarantees room availability upon arrival after 02:00 PM. ★ If a Guest is expecting to arrive prior to our Check-in time of 02:00 PM, we suggest that you book the room from the previous night. ★ For individual, Guest must bring his/her valid National ID Card/Passport/Driving License/Company photo ID card to be presented upon check-in. ★ By Car: From Airport approximate 1hrs 20 min drive time. ★ From Dhaka international airport to Gazipur chowrasta (Dhaka Mymensingh highway). ★ From Gazipur chowrasta to Rajendrapur chowrasta (Dhaka Mymensingh highway). ★ Welcome Drink on arrival. ★ Electronic Safety Deposit Box. ★ Fruit Basket in room on arrival day. ★ Usage of Swimming pool & Jacuzzi. ★ wall-mounted LCD TV with cable connection. ★ Two Bottles (500 ml) of Mineral Water per room per day. ★ Complimentary Breakfast for any children between 1 to 5 years. ★ Child up to 5 years Free. ★ Children Play is free of charges. ★ Child above 10 years Full Charge. ★ Children Game Room is chargeable. ★ Child above 5 to 10 years 50% of Regular Charge. ★ Extra Bed for children or Baby Cot for infant is chargeable. ★ Guests under Twelve (12) years of age are defined as Children. ★ Children Swimming Pool 01 is complimentary for In-House Guests. Suitable for children of 03– 05 years of age. ★ Children Swimming Pool 02 is complimentary for In-House Guests. Suitable for children above 05 – 12 years of age. Bhawal Resort located only 31 miles away from Dhaka. A discrete location surrounded by forest is one of its unique delight. Bhawal Resort consists of 62 individual villas for family, couples and honeymooners with attractive facilities. The lounge and restaurant will be open seven days a week. We will offer special theme nights to attract new customers to Gabri's. The restaurant will be fine dining in a cozy atmosphere. Warm colors, fresh flowers, soft music, candles and amazing artwork from some of the areas most notable new artists. This will contribute to a sense of community and give new artists a chance to show their work for a diverse clientele. During the busy summer months you can also sit outside on our patio and we will offer a special summer menu, featuring lighter fare, exotic drinks, as well as non-alcoholic offerings. The patio and garden setting will be a fun and casual atmosphere for the summer crowd. The service will be relaxed, very friendly and correct. We will hire the best people available, training, motivating and encourage them, and thereby retaining the friendliest most efficient staff possible. Our management team is comprised of individuals whose backgrounds consist of 50 years experience in food, restaurant and hotel, catering, management, finance, marketing, art and motion pictures.